How can golf venues engage women in 2019? As the golf industry steps up efforts to engage with today’s female market, this shift towards experiences becomes ever more relevant. But how can golf venues capitalise on this trend and provide a golf experience that is attractive to women? 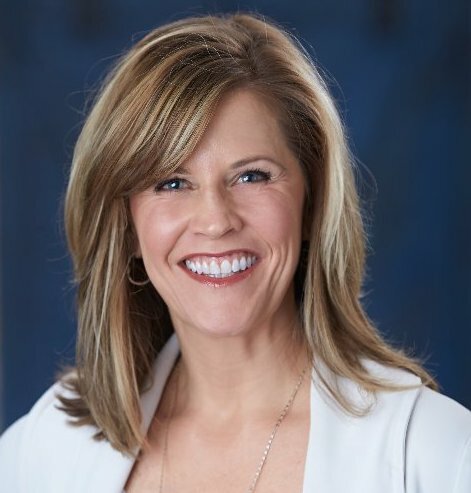 Marcie Merriman, Cultural Insights & Customer Strategy Leader at leading professional services company, EY, spoke exclusively to Syngenta Growing Golf about today’s experience economy. “Brands across the board are shifting their focus to experiences,” Marcie says. “And that’s everything from traditional retail to hospitality. With hotels, for example, you don’t just rent a room anymore; they might provide you a room, an experience around the room, and then go on to show you a range of nearby activities to enhance your experience at their hotel. First experiences are important. Forty-eight percent of women say they would be more likely to try golf if venues were more accommodating to beginners, demonstrating how much there is to be gained for those who take some thought around women’s journey into the game. 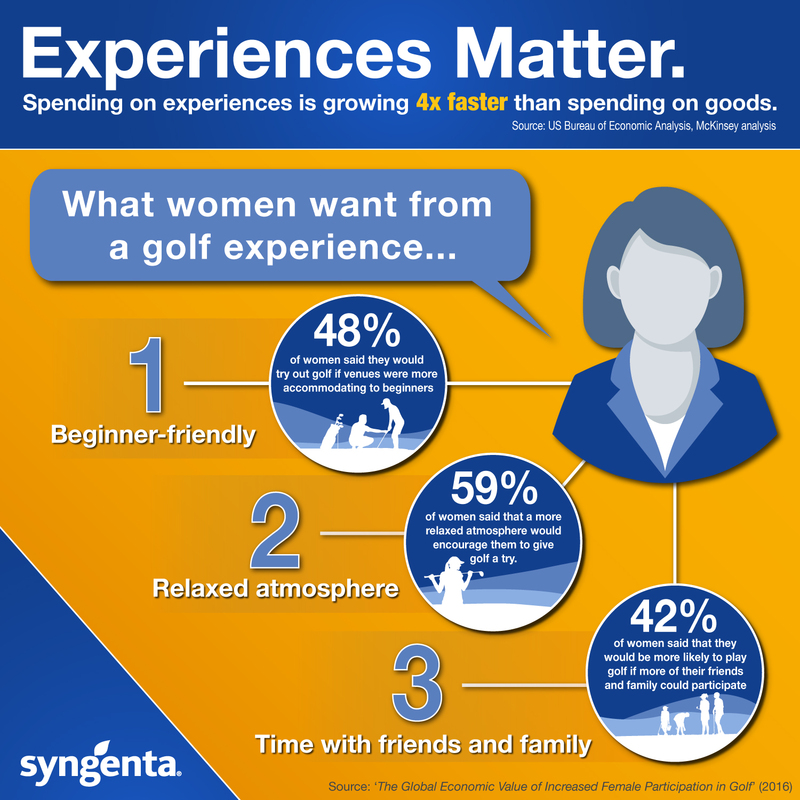 Syngenta’s findings reveal that women are looking for a beginners’ golf experience that is easy to access, affordable, and unintimidating, placing great customer service at the heart of it. 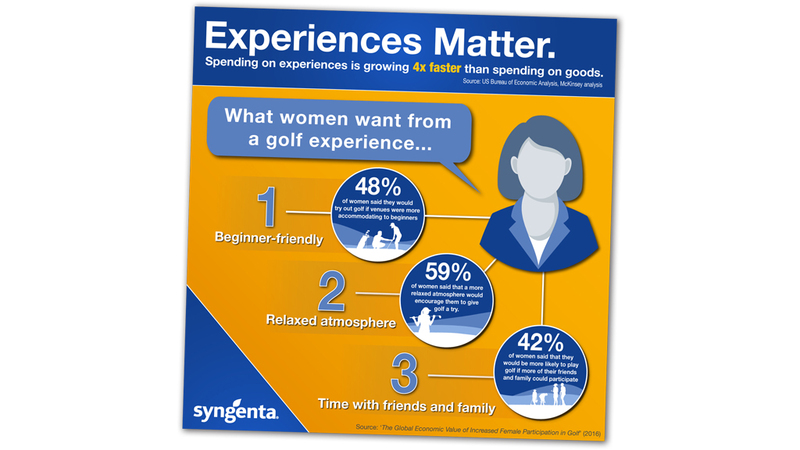 Relaxation and stress relief rank highly on the list of things that attract non-golfing women to the sport, and over half of women say that a more relaxed atmosphere would encourage them to give golf a try. However, the perception for many women is that golf venues are intimidating and male-dominated, with little thought for what women want or enjoy – an attitude which risks losing both existing and potential female members. Spending time with family and friends is also one of the top five factors that attracts non-golfing women to the game, with 42% of women saying that they would be more likely to play golf if more of their friends and family could participate. These findings suggest that making it easy to bring along loved ones and create great memories together may be key to creating an attractive experience for women. With demand for experiences on the rise, the golf industry is in prime position to deliver them. However, research clearly highlights that the experiences provided by golf venues to women are too often not relevant to their needs and desires. If the industry wishes to engage with the $35 billion opportunity that latent female demand represents, then it must take the necessary steps to understand what women want in the 21st century. Marcie Merriman is Cultural Insights and Consumer Strategy Leader for EY Americas, with over 25 years experience working with boards and CEOs helping to improve customer experiences, innovate brands and drive growth through human-centric strategies and design.